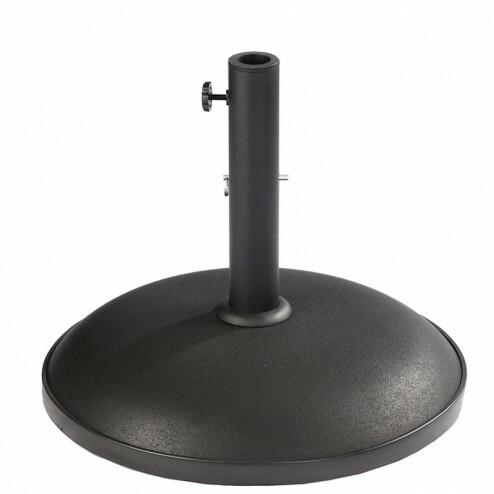 Watch this parasol base assembly video - the base is the same for both parasols. 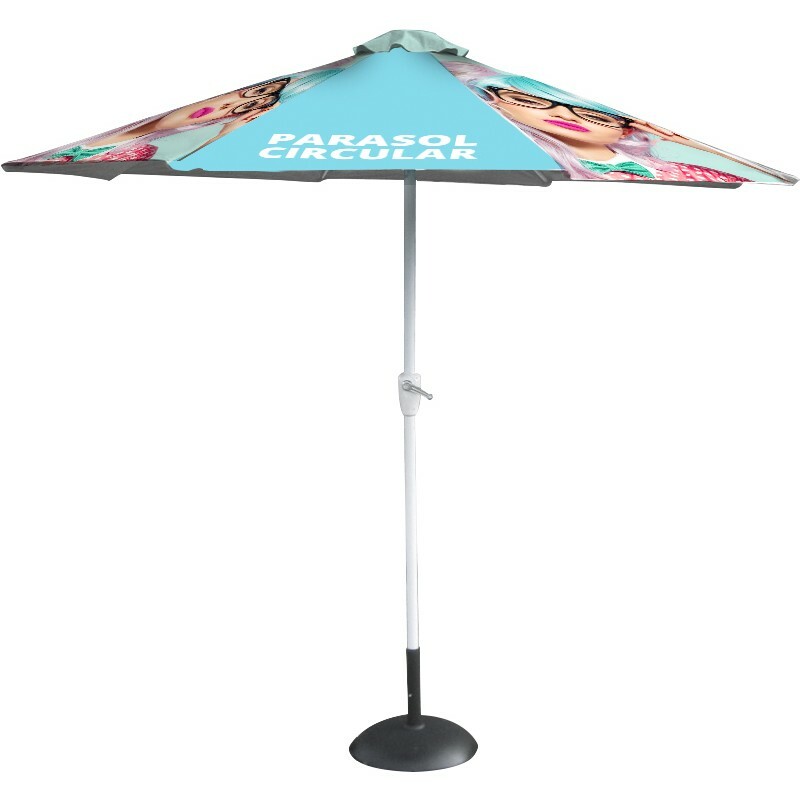 For the assembly of the individual parasols visit discount displays on youtube. 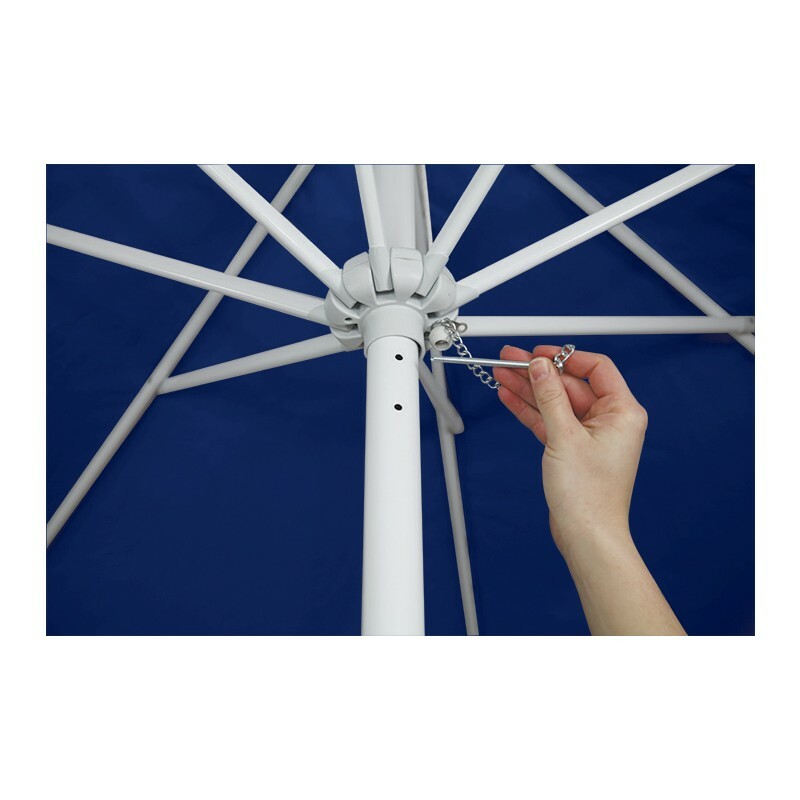 The Parasol hardware comprises of a wind up telescopic pole and a 21 kg concrete base. As with all outdoor products in the UK care needs to be taken in windy conditions. The Parasol is designed to be used up to a wind force of Beaufort 4 above that it should be folded shut. Dye sublimation is a digital process which means we can print in full colour so picture and logos are no problem. 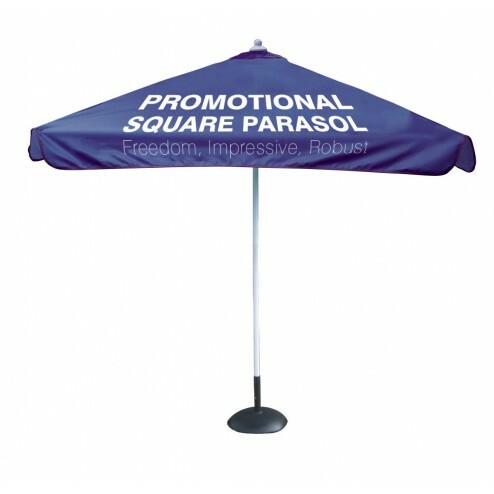 Printed promotional parasols are a cost-effective way to promote your brand at indoor and outdoor events. Our promotional parasols act as a sunshade in sunny weather and also offer protection from the rain. 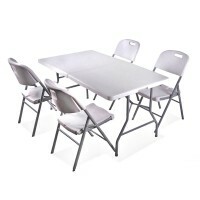 Ideal for use at events and exhibitions as well as pubs. restaurants and cafes. 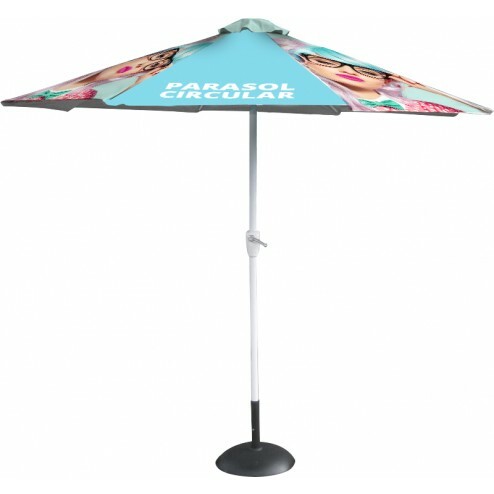 We have a design team on hand to design your parasol for you and can send you a proof before we print. We have no minimum order quantity and a healthy discount for volume. 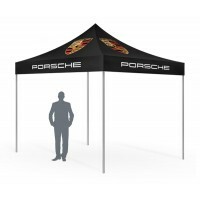 Yes, it is made from 230 GSM waterproof polyester tent fabric. Can you tilt the top of the canopy? No, the canopy on the square and round parasols are fixed. Does the base fit in the carry bag? No, only the parasol hardware and canopy fit in the bag provided. 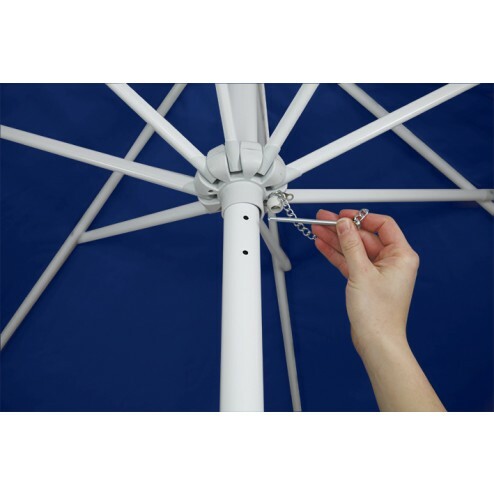 The square canopy has a 34mm pole and the round canopy has a 38mm pole.